Today, Tuesday 16 April 2019, is Don’t Stream and Drive Day. It’s dedicated to warning of the dangers of using your mobile phone to live stream your car journey. As if those dangers needed to be highlighted but alas, here we are. The campaign is now in its fourth year, with road safety and breakdown organisation GEM Motoring Assist the latest to offer support. “Quite frankly, it’s hard to believe that anyone would live-stream while in control of a car,” said Neil Worth, GEM road safety officer. “After all, why add another layer of entirely avoidable distraction to the already complex task of driving? The #dontstreamanddrive initiative was founded by Sergeant Neil Dewson-Smith in 2016. He did so after noticing the habit spring up shortly after the launch of easy and accessible streaming platforms on Facebook and Twitter. 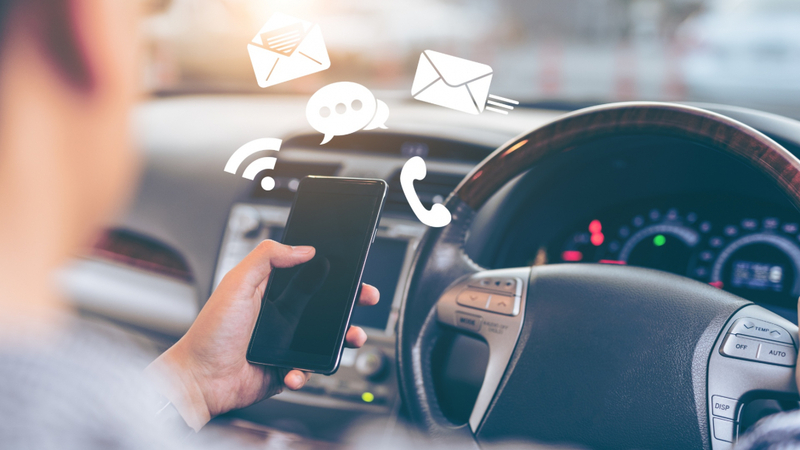 As of 2017, the cause became a fixture for national police forces, as fines enforceable for use of a phone behind the wheel increased to help deter motorists further. Neil will be pleased with the recent deployment of technology that can detect when drivers are using their phones. While it can’t be used to prosecute (yet), it can scare drivers off their phones when behind the wheel. If you’re caught using your phone behind the wheel in any capacity, you’ll get an automatic £200 fine and six points on your licence. If you’ve been driving for less than two years, you’ll lose your licence altogether.